Q. How do I search for music? The library has a CD collection as well as streaming music services. To find music on CD, search the library catalog. You can search by a specific musician, title, genre, or topic. 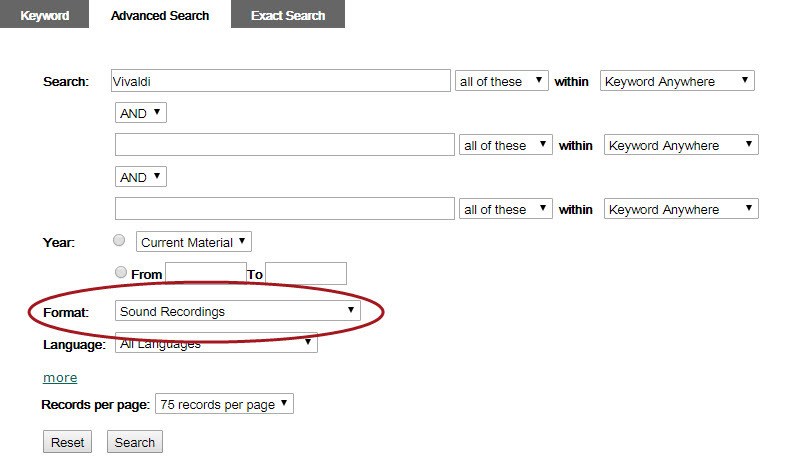 Whatever your search, make sure to select Sound Recordings from the Format dropdown menu. Use the Finding Music guide, linked below, to see our streaming music databases.